TV reception in Perth. Suburb by suburb. Good and bad areas. 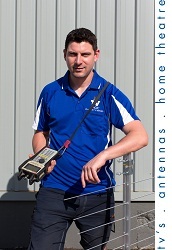 If you live in Perth and your antenna system is not working then you've come to the right place. 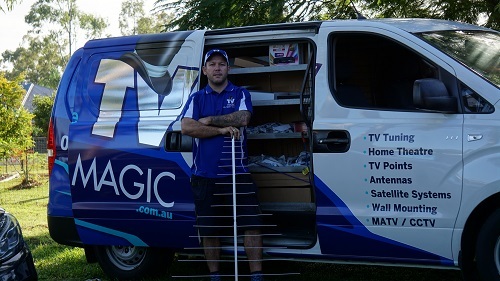 We fix TV reception and install antennas and maintain antenna systems in all suburbs of Perth. Matt (pictured above) and Sam service all suburbs from Joondalup to Rockingham. Call 0484 543 333 for a free quote! What is your TV reception like? To explain this very basically, if your TV reception is pixilating, dropping out and/or freezing with "no signal" messages - this is a sign of a weak signal. We hear a lot about only some channels having problems, only some TV points in the house having problems etc ... This is quite common .. but it is not normal. Your TV reception isn't going to come good all by itself. Just get us around for a free quote! Where do you live in Perth? No matter where in Perth you may be experiencing bad TV reception our technicians can to you usually within 24 hours. (Except some weekends and public holidays) Our equipment and supplies are the top of the range. We have over a decade of experience. Do you need a high TV antenna mast? Perth is a pretty luck place for TV reception. Not many areas need a pole higher than the regular four feet. However, whilst the vast majority of Perth does not need elevated masts - there are still many, many areas that do. Erecting a high mast must be done correctly. There is no point having it unless it is going to improve the performance of your TV reception als0:- so why not call the experts and we'll see what the best solutions are available to you. Do I need a booster? Once again - Perth is great for TV reception (in 95% of areas). Occaisonally (and we seem to get all the calls) for people who live in bad areas and need a booster. However, chances are slim... if you have less than 2x TVs in the house and it's single storey.. generally a booster is not needed. However boosters are very common for 4 or more TV points and double storey or larger homes. 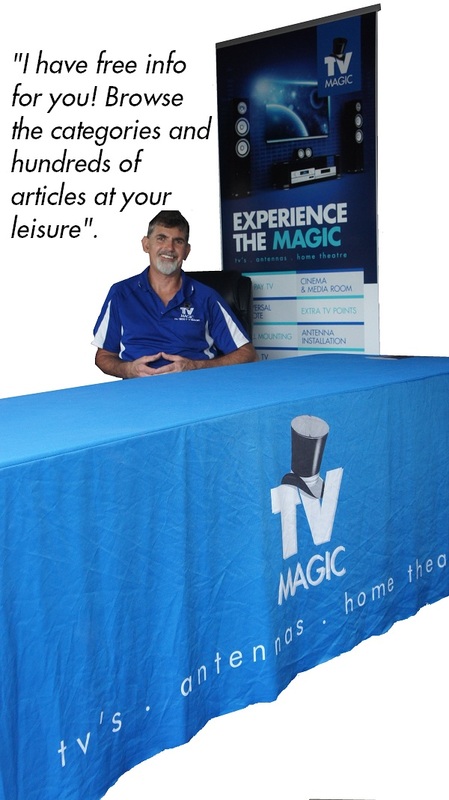 Perth, TV Magic technician covering all suburbs of Perth 0488 808 801 provides the following services. All TV Services - Click to see what Sam can do in just 1 day!